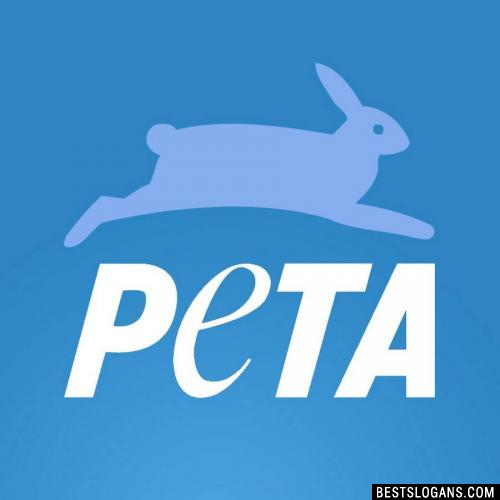 45 new entries added to peta slogans, that include pictures. 1. Fur is for petting. 1 Fur is for petting. 2 We Care! Say no to the wear of Animal Fur. 3 Fur is worn by beautiful animals and heartless people. 4 Save Our Furry Friends. 5 Fur: Beautiful on animals, ugly on people. 6 Love animals, dont wear them. 17 Fur looks best on the original owner. 18 Cavemen wore fur. Have you evolved? 19 For you, it's a fashion choice. For the animals, it's life or death. 20 You can live without fur. Some animals can't. Can you think of a good Peta Slogans we're missing? Or come up with a clever one of your own. Please share below.